TUESDAY, Nov. 11, 2008 (Health.com) — Obese children have as much plaque in their neck arteries as middle-aged adults, according to a study presented this week at the American Heart Association meeting in New Orleans. This precocious buildup of fatty deposits may give kids a looming risk of heart disease and other health problems that are beyond their years too. “My premonition is that we will see more premature angina and strokes and such,” says study author Geetha Raghuveer, MD, an associate professor of pediatrics at the University of Missouri Kansas City School of Medicine. In the study, Dr. Raghuveer and colleagues used ultrasound to measure the plaque in the carotid arteries of 70 obese children and teens with an average age of 13. (The study participants were 6 to 19 years of age.) The researchers measured the carotid artery intima-media thickness (CIMT) in the neck and found that the average CIMT was 0.45 millimeters, which is typical of adults in their mid-40s. The researchers were not surprised that the children had narrowing of their arteries. “We have known that the carotid artery’s inner lining is thickened in children with some combination of the traditional risk factors: high cholesterol, obesity, hypertension, insulin resistance, diabetes, even exposure to tobacco smoking,” says Dr. Raghuveer. But finding 30 years' worth of extra fatty buildup exposes the seriousness of the problem, she says. Clogged arteries can increase the risk of stroke and heart attack. “Saying that a child has the arteries of a 45-year-old brings it home, and so I think it’s a really nice way to catch people’s eye,” agrees Sarah De Ferranti, MD, director of the Preventative Cardiology Clinic at Children's Hospital Boston. Next: What should parents do? Public health campaigns that try to get kids to exercise and eat healthier haven’t made much of a dent in the problem of childhood obesity, Dr. Raghuveer says; they also haven't cut the rates of heart disease, diabetes, and other health problems that often go along with obesity. “This study is another red flag to people out there who are managing these kids, and to parents especially,” says Dr. Raghuveer. “These kids not only have the risk factors—like high cholesterol and hypertension—but they also have damage to their arteries." That leaves parents and health-care professionals in charge of finding dietary and fitness solutions that work for individual children, she says. In some cases, it may even be necessary to use cholesterol-lowering statins and blood pressure medications. All the children in the study had some kind of abnormality such as elevated total cholesterol, LDL or bad cholesterol, or triglycerides. “Some of these children may need [drugs] either because they’re not compliant to dietary changes or because they don’t respond,” says Dr. Raghuveer. There’s been some controversy lately about the wisdom of prescribing statins to young children. In July 2008, the American Academy of Pediatrics caused a firestorm when it revised its guidelines to say that statins were appropriate for use in some youngsters with high cholesterol. 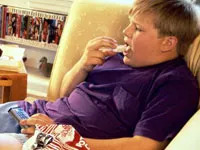 But most doctors agree that obese children with multiple risk factors might benefit. Dr. Raghuveer’s hope is that CIMT might help doctors decide with greater precision which children might need extreme interventions, a scenario that interests Dr. De Ferranti as well.